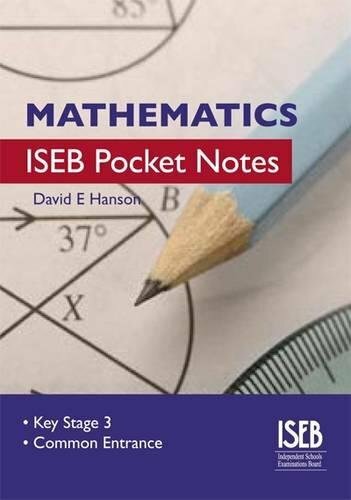 Ideal for any pupil aged 13+ (Year 8 upwards), this pocket book distills the key information required for pupils approaching Common Entrance and entrance exams at 13+. David Hanson has over 40 years' experience of teaching. He has been a member of the ISEB 11+ and 13+ Mathematics setting teams, and was, for a time, leader of the 11+ team. Fpr many years he edited the SATIPS Maths Broadsheet and contributed to and/or organised, conferences for SATIPS and IAPS. David has retired from teaching, but is still associated with the ISEB and is a member of the ISEB Editorial Endorsement Committee.